This is a very small, extremely light weight battery based on the new Polymer Lithium Ion chemistry. This is the highest energy density currently in production. Each cells outputs a nominal 3.7V at 110mAh! 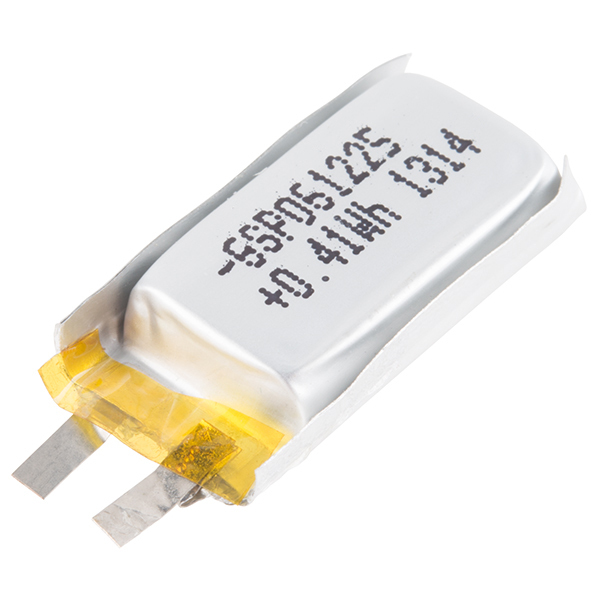 Unlike our other 110mAh batteries, this model comes terminated with two small solder tabs for easy connection on your next low power project. These batteries require special charging so be sure to not attempt to charge these with anything but a specialized Lithium Polymer charger. Make sure to note that, unlike our other 110mAh batteries, this little guy does NOT include built-in protection against over voltage, over current, and minimum voltage. 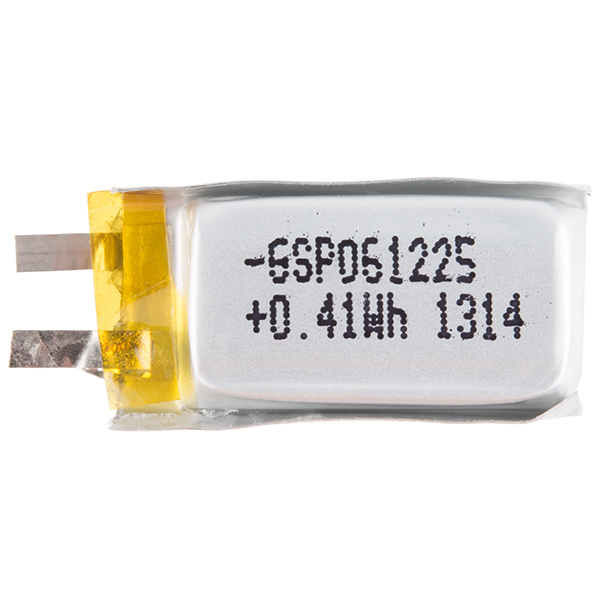 Please use caution when using this battery in wearable projects. When using conductive thread, a short in the thread can create sparks and heat. We recommend using coin cell batteries for beginners. Note: Due to the requirements of shipping these batteries, orders may take longer to process and therefore do not qualify for same-day shipping. Sorry for any inconvenience this may cause. If the dimensions in the datasheet are wrong, what are the correct dimensions? If the discharge limitation of 2C is incorrect. Then what is the actual limitation? its kinda important considering there is no built-in protection. Also what are the real dimensions? Is this powerful enough to power a RasPi for three hours? Very unlikely. RasPi consumes up to 700ma@5v (Model B). You will probably want the 2000mah version if you want the raspberry to work for atleast 3 hours at maximum consumption. 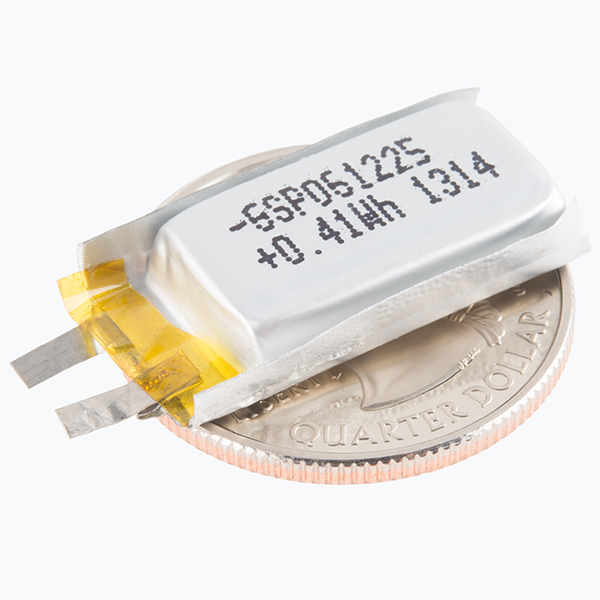 You may also want to look up on how others power the Raspberry pi of batteries. Some parts need 5v and others 3.3v so you may need to do some boosting and regulating to get everything working properly.